Be sure to check out the Tenku Hanabi ‐ FIREWORKS BY NAKED evening event from 21 Sep 2018 at Harukas 300! Easy to use. No hassle at all. I am very pleased with this booking! HARUKAS 300 is located on the 58th to 60th floor of ABENO HARUKAS. Standing at 300m, it is the tallest skyscraper in Osaka, filled with luxury stores, hotels, restaurants, and art galleries where you can shop, eat, and fulfil your shopping desire. 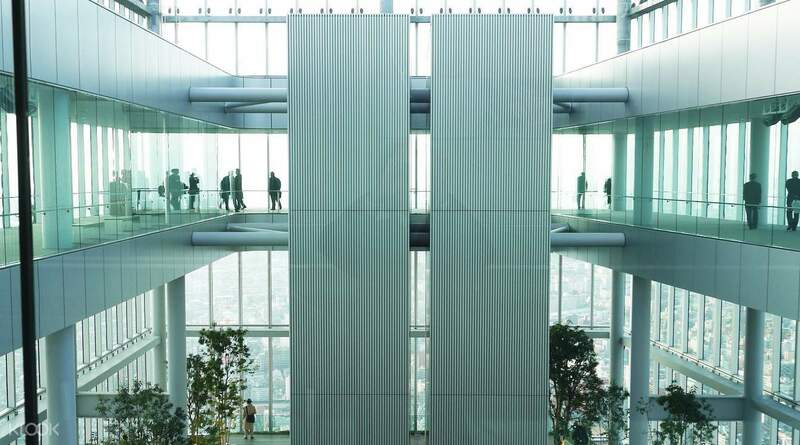 Take an elevator ride up to the 58th floor and step out onto an open-air plaza. Enjoy the fresh air and stretch yourself, or visit the Sky Garden 300 restaurant where you can indulge in a delicious meal while savoring the view. 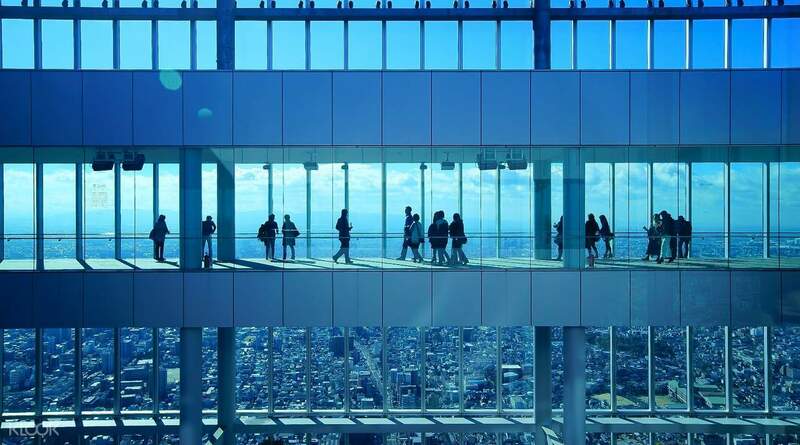 Next, head on up to the 60th floor and be prepared to be blown away by the magnificent panoramic view of Osaka from behind a 360° glass-enclosed deck. With the additional purchase of a Osaka Visitors' Pass at a huge discount, take any subway, New Tram, or buses with no limit and explore Osaka to the fullest! It was an amazing experience! From the redemption of klook voucher to the harukas ticket, it was awesome! Thank you klook for giving us the chance to see another dimension of innovation in Osaka, Japan. It was an amazing experience! From the redemption of klook voucher to the harukas ticket, it was awesome! Thank you klook for giving us the chance to see another dimension of innovation in Osaka, Japan. Viewing the beauty of Osaka city from 300 mt above the ground level is wonderful experience. We can see each spot of osaka , railway tracks, stations, helipads, soccer grounds and lot many. While we are going to th floor we feel like going in a space ship. Great technology, even though we are going high speed even water in bottle will not shake such smooth transition from 16th to 60th floor. 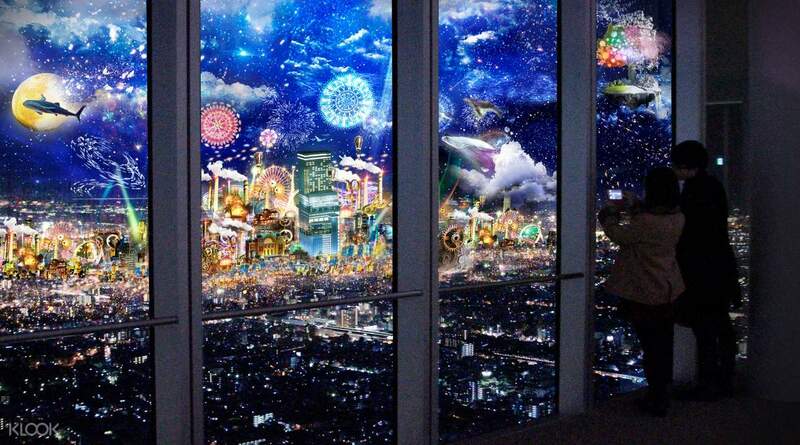 Viewing the beauty of Osaka city from 300 mt above the ground level is wonderful experience. 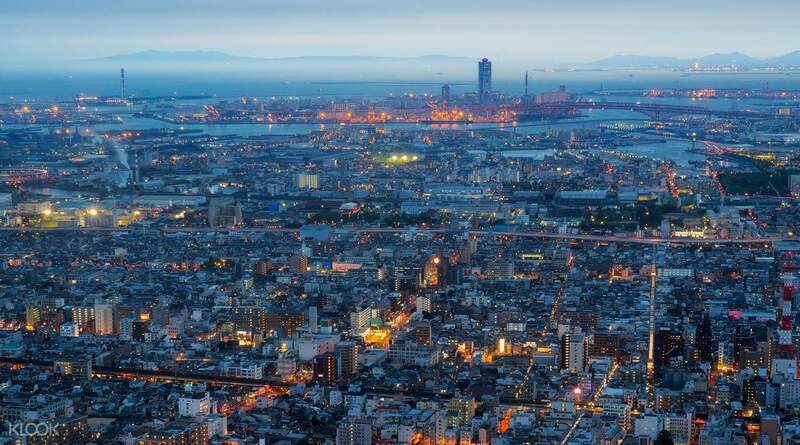 We can see each spot of osaka , railway tracks, stations, helipads, soccer grounds and lot many. While we are going to th floor we feel like going in a space ship. Great technology, even though we are going high speed even water in bottle will not shake such smooth transition from 16th to 60th floor. We just show the mobile copy of voucher and we get the ticket to go inside, we arrive around 3pm and no crowd in the entrance. The view above Harukas was really amazing. Birds eye view of osaka, the roads, skyway and their trains. We enjoy the time seeing things above and specially the sunset. We just show the mobile copy of voucher and we get the ticket to go inside, we arrive around 3pm and no crowd in the entrance. The view above Harukas was really amazing. Birds eye view of osaka, the roads, skyway and their trains. We enjoy the time seeing things above and specially the sunset. It is breath-taking. It can be nerve-racking if you have fear of heights, but it is worth it. We don't speak Japanese but the people are all nice and friendly, very enthusiastic and more than willing to help. They may not be the best speakers of English, but they will do everything they can to assist. Nice people nice place. It is best to get the 1 day pass so you can view the day and night view. It is breath-taking. It can be nerve-racking if you have fear of heights, but it is worth it. We don't speak Japanese but the people are all nice and friendly, very enthusiastic and more than willing to help. They may not be the best speakers of English, but they will do everything they can to assist. Nice people nice place. It is best to get the 1 day pass so you can view the day and night view. Going here is a must when in Osaka!! The view was fantastic!! It was really beautiful. You can go shopping or have a meal after visiting since there are a lot of stores/shops/restaurants down and around the building. It was really worth it. Going here is a must when in Osaka!! The view was fantastic!! It was really beautiful. You can go shopping or have a meal after visiting since there are a lot of stores/shops/restaurants down and around the building. It was really worth it. It’s unexpected amazing trip ! Probably one of the highlights during my Osaka trip and highly recommended you purchase the ticket through Klook. Hassle free! It’s unexpected amazing trip ! Probably one of the highlights during my Osaka trip and highly recommended you purchase the ticket through Klook. Hassle free! Fuss free entry to the Harukas 300 Observatory. Use the e-ticket send by klook and exchange it for the actual ticket at the ticketing counter. Nice view!! Fuss free entry to the Harukas 300 Observatory. Use the e-ticket send by klook and exchange it for the actual ticket at the ticketing counter. Nice view!! My brother and I love going to towers and buildings so we wouldn't miss the tallesr building in Japan. It was great. Sadly we booked on a weekend so the place is jammed. My brother and I love going to towers and buildings so we wouldn't miss the tallesr building in Japan. It was great. Sadly we booked on a weekend so the place is jammed. Transaction is very easy and saves you up in cost because of its lower value compare to onsite ticket fare. Our visit at Harukas is worth remembering! Thanks Klook! Transaction is very easy and saves you up in cost because of its lower value compare to onsite ticket fare. Our visit at Harukas is worth remembering! Thanks Klook!